February 3 – 16th Amendment ratified authorizing the federal government to impose and collect taxes. March 7 – British freighter, Alum Chine, explodes in the Baltimore harbor. April 8 – The 17th Amendment is ratified requiring the direct election of Senators. May 14 – The Rockefeller Foundation is chartered with a $100 million dollar donation from John D. Rockefeller. June 29 – 2nd Balkan War begins. July 10 – Hottest temperature in the world is recorded in Death Valley, CA at 134°F. August 13 – Stainless steel is invented. November 7-11 – The Great Lakes Storm of 1913 sinks 19 ships. December 1 – Ford begins the 1st assembly line. December 23 – The Federal Reserve is established. March 21 – Alcatraz Island federal penitentiary closes. March 22 – The Beatles 1st album is released. April 10 – The Thresher, a US nuclear submarine sinks east of Cape Cod. May 1 – Tab, the 1st diet soda is introduced. July 26 – NASA launches the 1st geosynchronous satellite. August 5 – The United States, USSR, and United Kingdom sign a nuclear test ban treaty. August 28 – Martin Luther King, Jr. gives his “I have a dream” speech at the Lincoln Memorial. September 7 – Pro Football Hall of Fame opened. November 22 – President John F. Kennedy is assassinated. November 23 – 1st episode of the BBC’s Dr. Who aired. November 24 – JFK’s assassin, Lee Harvey Oswald, is shot and killed. December 7 – 1st use of instant replay during a football game. December 8 – Frank Sinatra, Jr. is kidnapped at Lake Tahoe, NV. February 13 – Calgary Winter Olympics begin. March 16 – Oliver North and John Poindexter are indicted for Iran-Contra Affair. March 17 – The flight crew of Avianca Flight 410 allows their computer on their Boeing 727 to fly into a mountain while they are distracted killing 143. 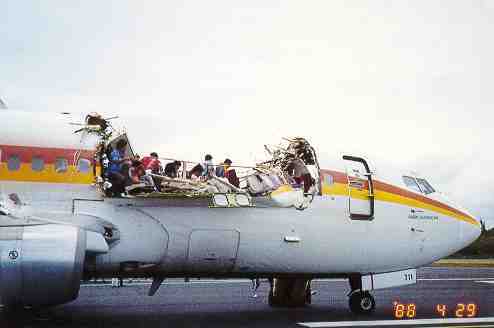 This is one of 22 aviation accidents in 1988 that killed 50 or more people. April 4 – Republican Arizona Governor Evan Mecham is impeached. One of his achievements was to abolish the Martin Luther King, Jr. holiday in the State. April 28 – A flight attendant is sucked out of Aloha Flight #243 when part of the fuselage rips open in flight. May 4 – With the Space Shuttle on hiatus after the 1986 Challenger disaster, solid rocket fuel stored at PEPCON in Henderson , NV catches fire and explodes. May 15 – Soviet army begins withdraw from Afghanistan. June 14 – A small wildfire in Montana ignites. By the time snowfalls in the Fall over 1/3 of Yellowstone National Park will be burned. June 23 – NASA scientist testifies that global warming has begun. August 18 – George H.W. Bush and Dan Quayle become the official GOP candidates. August 26 – A man is returned to De Gaulle Airport in Paris because his passport was stolen and he lacked proof of citizenship. 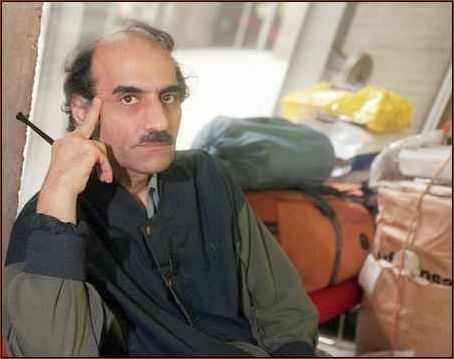 Mehran Karimi Nasseri would remain trapped at the airport for almost 18 years (2006) until he became ill and was hospitalized. September 17 – Summer Olympics in Seoul, South Korea begin. September 29 – Space Shuttle flights resume after the 1986 Challenger disaster. October 27 – Ronald Reagan orders the new U.S. Embassy in Moscow, Russia to be destroyed because of Soviet listening devices built into walls. November 2 – The 1st computer worm (Morris worm) is distributed via the Internet. November 15 – Soviets launch their version of the Space Shuttle. It was unmanned and it was never relaunched. December 21 – Pan Am Flight 103 explodes over Scotland killing 270. 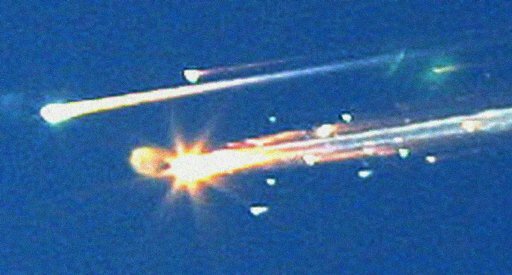 February 4 – Space Shuttle Columbia returns from space only to disintegrate as it passed over Texas. Unknown at the time, a chunk of ice fell of the Shuttle at launch on January 16 and punched a hole in the wing, dooming the flight. All seven astronauts died almost instantly. February 15 – Prior to the American invasion of Iraq, over 10 million people world-wide protested the planned war. March 19 – America begins its invasion of Iraq. April 14 – The Human Genome Project finishes mapping 99% of human DNA. May 4 – A massive tornado outbreak during the week exceeds any other week in U.S. history. July 14 – A CIA operative’s name is leaked to the Washington Post, allegedly by the Bush staff in retaliation for her husband’s criticism of the administration on the lack of evidence of sale of nuclear material to Iraq. 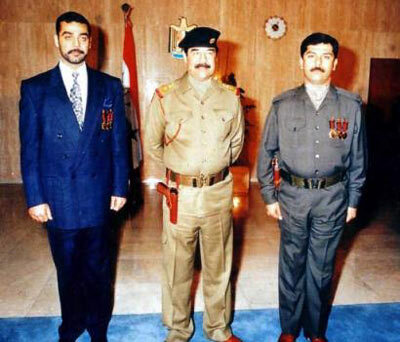 July 22 – Two of Saddam Hussein’s sons are killed by U.S. forces. August 21 – Mars makes its closest approach to Earth in over 50,000 years beginning an email hoax that Mars would be as big as the Moon that would continue for the next decade. October 15 – China launches its first manned space mission. October 24 – The Concorde makes its last commercial flight. December 13 – Saddam Hussein is captured. January 2 – Oil hits $100 per barrel for the 1st time. April 28 – India set record by launching 10 satellites on one launch vehicle. May 12 – China is rocked by a 7.9 earthquake killing over 69,000 people. May 25 – NASA lands the Phoenix surveyor in the northern polar region of Mars. August 8 – The Beijing Summer Olympics begin. August 17 – Michael Phelps wins his 8th Gold Medal. September 10 – The Large Hadron Collider in Switzerland/France circulates its 1st proton beam. September 15 – The Lehman Brothers file for Chapter 11 bankruptcy. September 29 – The Dow falls by 777 points after the House of Representatives fails to approve a Bank Bailout plan. 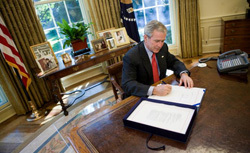 President Bush signs TARP into law. October 3 – Shaken by the stock market reaction, the House reverses itself and approves a Senate version of the Bank Bailout bill. President George W. Bush signs the $700 billion Troubled Asset Relief Program (TARP) into law. October 29 – Delta Airlines and Northwest Airlines merge to become world’s largest commercial air service. November 4 – Barack Obama and Joe Biden are elected as President and Vice President of the United States. November 26 – Islamic terrorists take over a hotel in Mumbai, India for two days. December 11 – Bernard Madoff is arrested for the largest fraud in history.